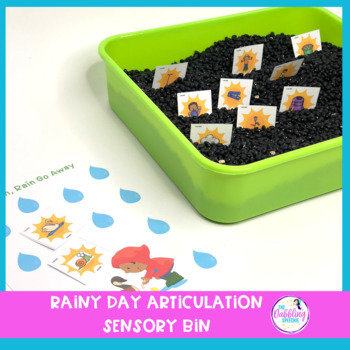 This is a spring sensory bin companion to target speech and language skills in an interactive way. 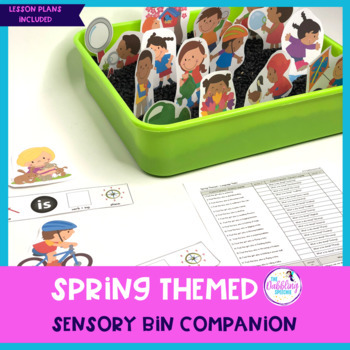 Included in this companion are lesson plans for using the spring sensory bin. Students can learn new spring themed vocabulary while having a tactile, hands on experience. 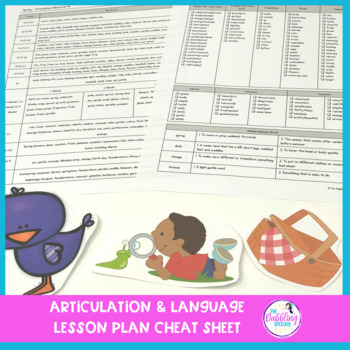 Who this resource is for - This resource is designed for speech pathologists to use with students to work on articulation, fluency, grammar, language and social skills with a spring themed unit. This resource could also be for preschool & kindergarten literacy centers, ESL teachers, special education teachers and for parents wanting to work on these skills at home. Target basic concepts - in, out, next to, behind, under, through, near, far, up, down, before, after, through, between, etc. Target attributes - Describe the items in the bin with adjectives and descriptive language. Compare/contrast how the items are similar and different. Talk about how the items feel, look, smell, etc. Describe the children doing spring activities by attributes of the color, shape, size. Target story narration & sequencing – Have students create a story using the kids and spring themed vocabulary. Receptively, can create a story and then ask the students wh-questions about your short story. Other skills to target with this activity: summarizing, main idea, conjunctions, dialog, prepositional phrases, and adding a new ending to the story. Target social language - Work on joint attention, initiating requests, making comments, sharing opinions (i.e. “Smell the beautiful flowers!”), turn taking, and pretend play. Also, work on tone of voice or voice volume. Target speech fluency - Practice using speech fluency strategies while playing, describing what the students are doing in phrases/sentences. Target grammar & MLU - Build sentences targeting present progressive, pronouns, is/are, third person singular, and plurals. 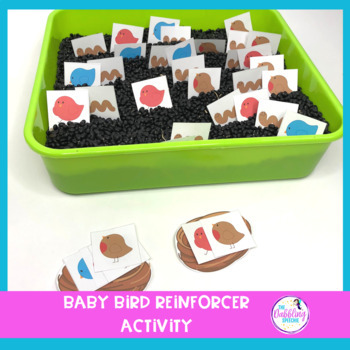 Click on the preview to see more pictures in action as well as details for how to assemble a sensory bin, and a summary of all the skills you can target while using a sensory bin in speech therapy. Here are some more sensory bin resources you may like for you students!